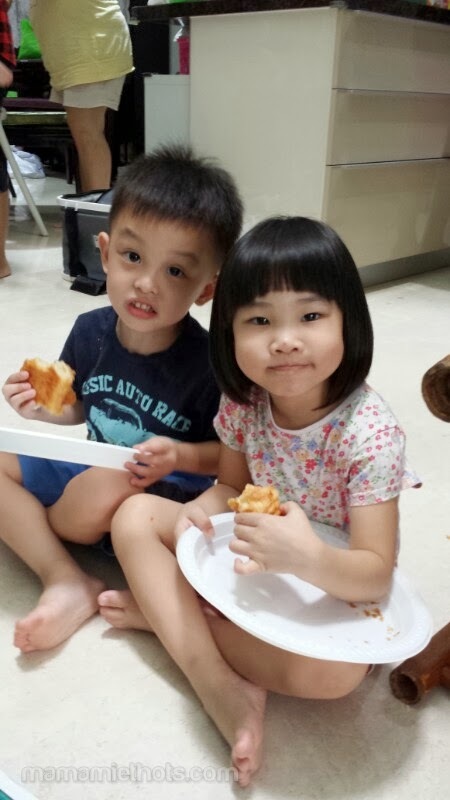 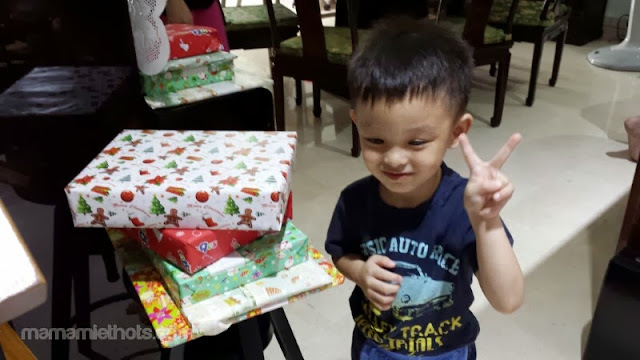 We were invited by sil & her family to their Christmas party this year. 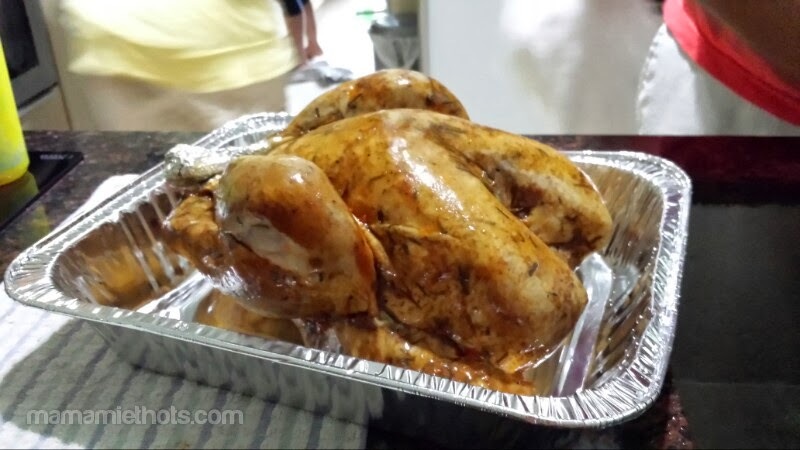 They ordered the Christmas feast from Cold Storage and surprisingly everything tasted so good. I came well prepared this year with all the children's presents and everyone had a jolly good time feasting together. 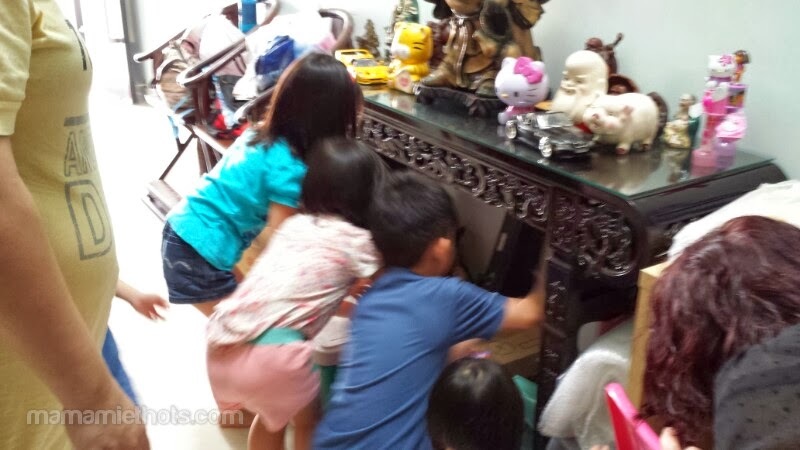 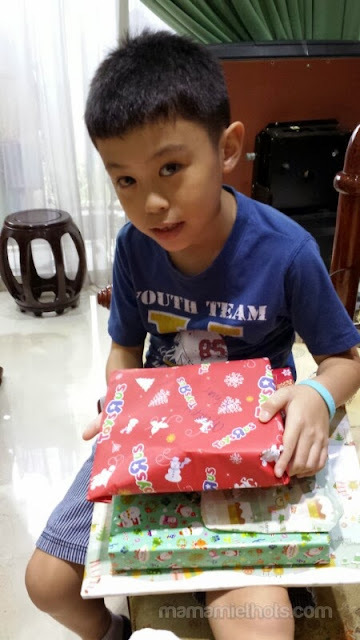 Sil has hidden all the presents from the children and they went for their "treasure hunt" around the house. 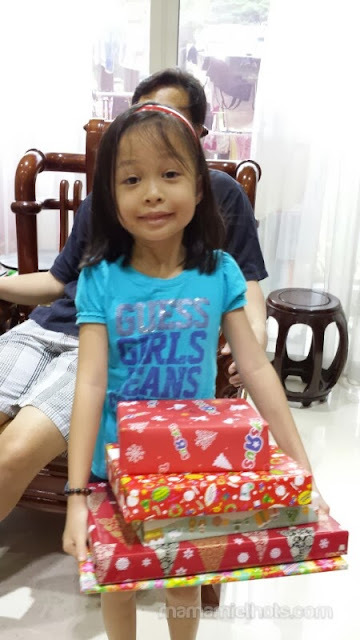 Not forgetting YQ too, the presents looked kinda heavy for her. 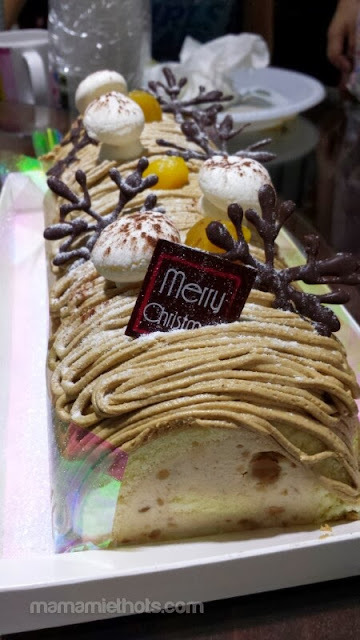 One of the yummiest log cake (Japanese pine nut cake) I ever tasted which was bought by my sil & her family too. 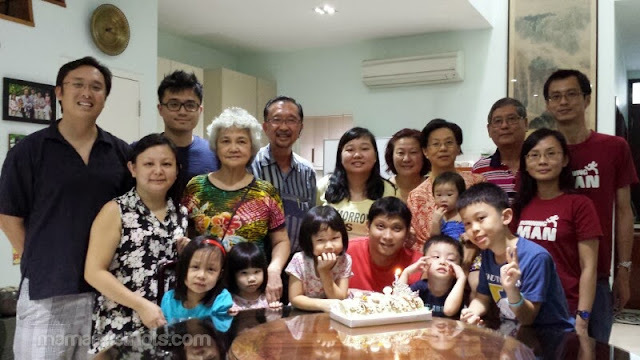 We also celebrated sil's husband's birthday on Christmas day too!